Quentin Jacobsen – Q to his friends – is eighteen and has always loved the beautiful and edgy Margot Roth Spiegelman. Nine years ago they discovered a dead body together but now, at their Central Florida high school, Q’s a nerd while Margot is uber-cool. One night, before graduating, Q is basking in the predictable boringness of his life when Margo persuades him to join her in some midnight mayhem and vengeance… and then vanishes. While her family shrugs off this latest disappearance, Q follows Margo’s string of elaborate clues – including an unnerving poem about death. Q’s friends Radar, Ben and Lacey help with the search, and a post for a website turns up: Margo will be in a certain location for the next 24 hours only. They drive through the night, racing the clock. Is Q ready for what he might find? 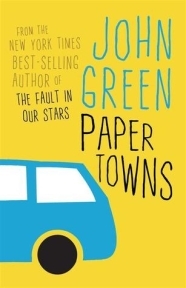 Brimming with realism, Paper Towns was addictive. These characters may take things to the extreme, but I could see it happening. Their wacky adventures, their antics, they felt real to me. If you’ve read Looking For Alaska, expect more of the same here. Popular girl draws a not-so-popular guy into her orbit. It comes across as more of a one sided romance than anything else. So don’t expect to find the swoon-worthiness of some of his other characters in Quentin. For me, this wasn’t about the romance, it was about the adventure. Split into three parts, block one could best be described as ‘the all-nighter’, block two as ‘looking for Margo’ and final block as ‘the road trip’. The book basically starts out with an introduction to the social hierarchy and an affirmation of Q’s position at the bottom of it. Meeting his friends, there was no lag in the storytelling. 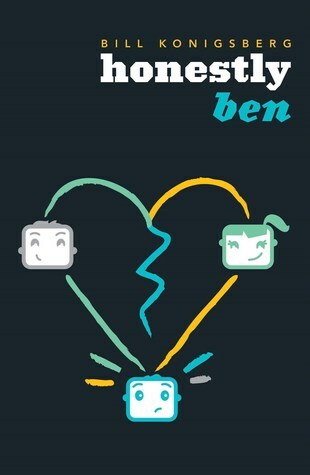 They each had their own quirks—Ben with his honey bunnies and Radar with his wiki-like obsession. Quentin’s fixation with Margo did grate on me in the middle of the book, but overall, the story still held up. I loved part one. Margo was wild. Her schemes, her attitude, it played perfectly against Quentin’s own nervousness. Putting as much thought in as she did, things still managed to maintain their spontaneity. It just felt fun. And coupled with John’s tendency to send his narrator off on mental tangents, you can’t help but smile while reading. I have to say, though, that he does love his broken leads. Margo is dripping in turmoil. Even when she’s outwardly happy, there’s still this underlying doubt about her stability. Coming across as an attention seeker to some, Margo’s disappearance brings out the differences in people and shows the similarities in others. It was in this part where the supporting characters really came in to themselves, and their interwoven dynamics explored. With the mystery holding up for a surprisingly large chunk of the book, unravelling the clues became the sole focus for Quention. It was quite smart the way everything came together, but I could have used less of it and more of the relationships. Quentin’s one track mind was understandable, but still frustrating. The road trip brought back the fun for me. When people are confined in a small space for any length of time, they eventually start to crack and reveal more of themselves. Mixing bouts of humour and seriousness, I couldn’t put it down. It kept up a level of tension, playing out in my head just like a movie. The characters’ fear became my own. I had to know how it would end. It may not have been what I was expecting, but it definitely felt real. Fans of road trip adventures and generally witty writing.